On a cold and rainy day in 1902, Mary Anderson boarded a streetcar in order to make a trip into New York City. The visibility was poor, and trolleys at the time had no more than a strange, ineffective method by which to clear sight lines—a multi-pane window that allowed drivers to shove one pane to the side. But shoving the window aside did nothing more than open the driver and front passengers up to the weather—a heavy sleet, in the case of Anderson’s trolley trip. The two options fit perfectly in the “pick your poison” category, it seems. While she didn’t have to endure the ice and wind quite as severely—or often—as her trolley driver did, Anderson wanted to change the system. She began to draw up ideas while on that very trolley (which seems like an inconvenient time, considering the sleet flying through the front window and into the streetcar). When the driver pulled the lever, she dragged the spring-loaded arm across the window and back again, clearing away raindrops, snowflakes or other debris. When winter was over, Anderson’s wipers could be removed and stored until the next year. Anderson received a patent for the invention in 1903, according to History. But it didn’t catch on, at all—in fact, companies informed Anderson that the wipers had no practical value, would be distracting to drivers and were worth nothing monetarily. There were also few automobiles on the road at the time, resulting in a small audience for Anderson to work with. When the time for her patent to expire, Anderson let the poor, unwanted idea slip from under her claim. History added that wipers became standard on most cars in 1913, and several other inventors began to follow the ideas of Anderson. According to The New York Times, a man by the name of John Oishei hit a cyclist while driving his National Roadster through the rain one evening in 1916. The cyclist wasn’t hurt, but Oishei was—emotionally, that is. By then, others had come up with windshield-clearing devices similar to Anderson’s, but none were in wide distribution. Oishei found a locally made, hand-operated wiper called the Rain Rubber, which slid along the gap between the upper and lower panels of the split windscreens that were then in use. He then founded a company to market it. 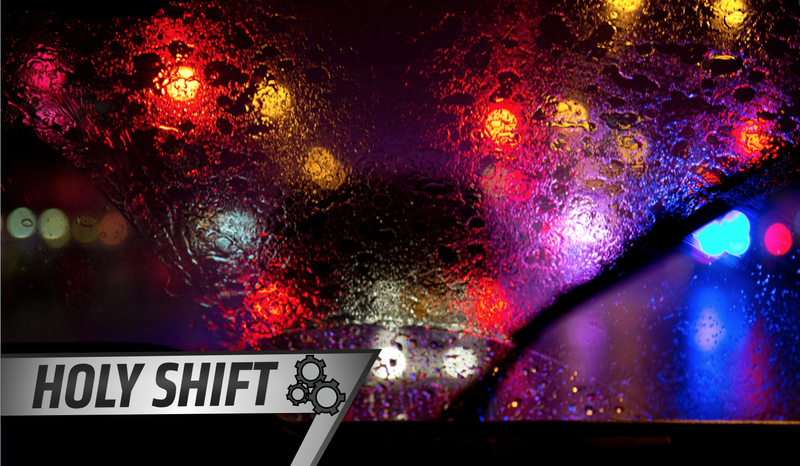 While Oishei didn’t invent this version of the wiper, he chased patents almost as aggressively as the windshield wipers fought off inclement weather. In addition to the patents and fighting legal battles over them, Oishei played an active part in the wipers’ production and technology developments. Oishei later named his company “Trico,” which sounds like a brand that would make tricycles for small children. But according to the Times, Trico dominated the wiper market—a far different reality than Anderson faced when introducing a similar device just a few years prior. The Trico windshield wipers were far from perfect, though. The device required one hand to work it, which meant that drivers had to both steer and shift with the other. But the wipers of Oishei and others could be considered prehistoric versions, considering the device has been around for just over 100 years. Society left that prehistoric stage of windshield wipers fairly quickly. Modern wipers not only remove the need for manual operation, but higher-end vehicles will even turn them on automatically when sensing rain so the driver doesn’t have to lift a finger—let alone an entire blade. Technology. What a crazy, lazy thing it is.